During already 4-5 weeks I have strange vaginal bleeding – mostly dark spotting. My friends told it could be decidual bleeding. What is the average decidual bleeding duration? How long does decidual bleeding last? Women health during pregnancy is crucial and women should take care of their health to insure healthy baby development. First of all, irregular dark spotting during first 4-5 weeks of pregnancy cannot be so called “decidual bleeding”. Decidual bleeding is very specific “period-like” bleeding which usually appears on expected period day. Some women could experience episodes of decidual bleeding during pregnancy but it is usually regular (on period expecting days). About 20%-30% of pregnant women could experience decidual bleeding during first 1-3 months of pregnancy. However, though decidual bleeding could resemble menstruation, it actually is something different altogether. 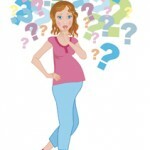 Sometimes during pregnancy women hormones can get out of whack, causing you to lose parts of the lining of the uterus. This is especially common in the early stages of pregnancy, before the lining has completely attached to the placenta. While it can be troublesome to think about shedding part if uterine lining, decidual bleeding is generally not thought to be a health threat to pregnant woman and/or baby development. Irregular strange vaginal bleeding and/or dark spotting during first trimester of the pregnancy could be a symptom of miscarriage. It would be strongly recommended to visit your doctor for specific tests and advices. Several tests should be done to check all possible causes and risks for miscarriage.